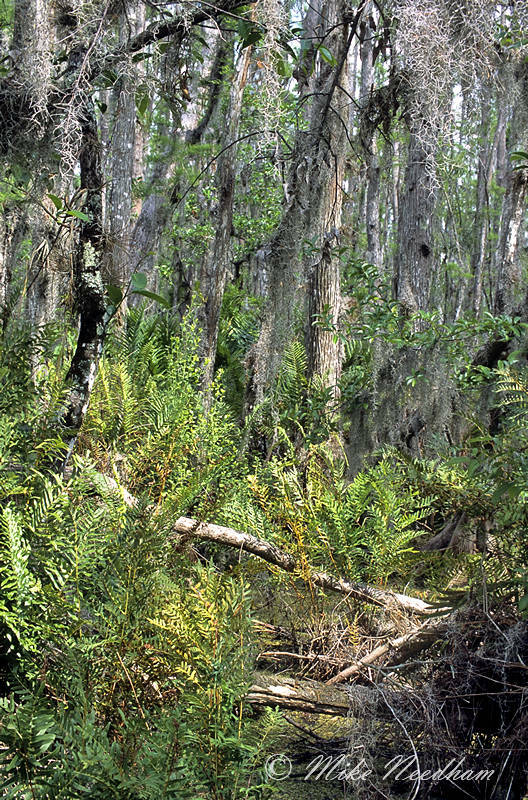 My main photographic destination was Loxahatchee NWR. The boardwalk, about 1 mile in length, behind the main shop / warden building was a wonderful place for an early morning walk. 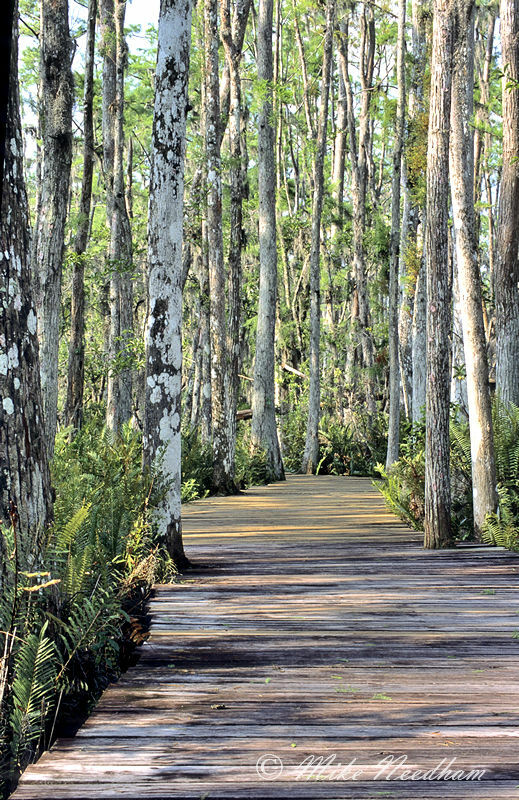 I saw, but bid not manage to photograph, a pair of otters playing underneath the walkway and the general experience of walking through the cypress swamp was a wonderful start to the day. 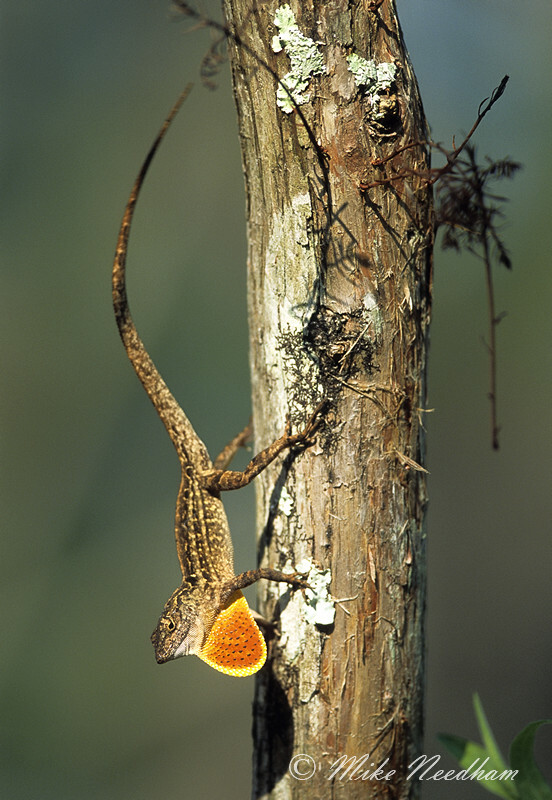 The highlights here were the small anole lizards displaying on the trees which were mainly the introduced Cuban Brown variety, but there were occasional glimpses of increasingly scarce native Green Anoles too. In fact, in this area these lizards were about the only subject matter on offer, but I quite happily spent a couple of hours with them and would have stayed longer if time had allowed. The close focus capability and superb optical quality of the Nikkor 300mm f/4 AFS was perfect for isolating the lizards without spooking them. An amazing lens with film or digital. 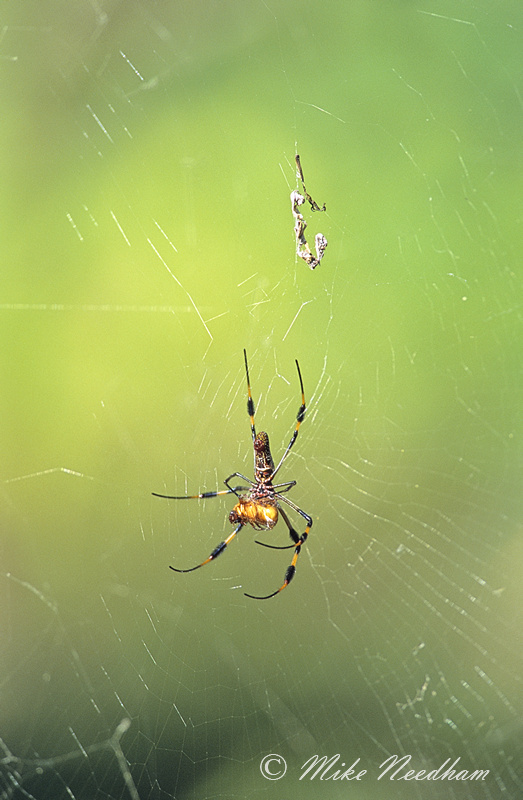 The manmade ponds had good populations of insects, birds (lots of herons and egrets in particular) and alligators, and were very productive for such a limited period of time. 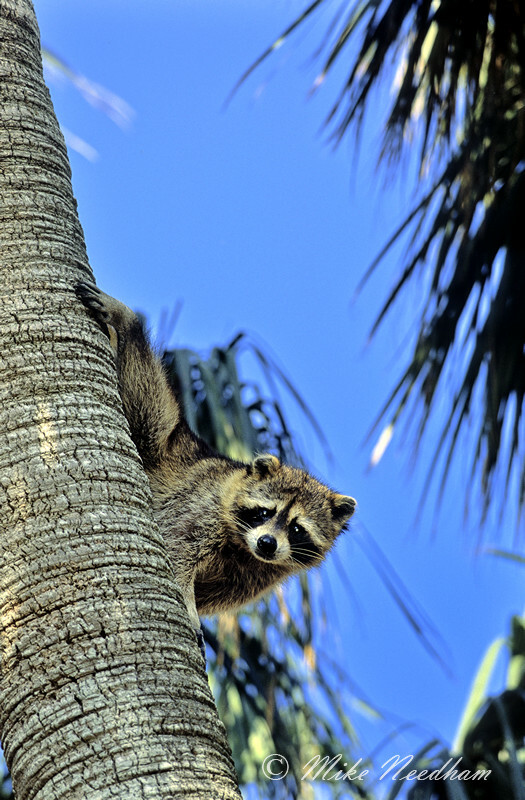 There were also small areas of greenery and protected areas close to the hotel where I was staying in Boca Raton (Gumbo Limbo and Red Reef Park) that contained raccoons, large spiders, etc. A standard zoom would have been useful but as I did not know if I would get any time for photography at all I took a very limited kit which turned at to be a good balance and served most of my needs. This was a very positive surprise and gave me a firsthand appreciation for the potential of Florida. With some preplanning and a flexible itinerary I am sure the state would be an excellent option for a week or two of productive wildlife photography in relative comfort and without a lot of expense (though Boca Raton is very exclusive and therefore expensive). I would certainly like to return for a more focused trip.